Pedders shock absorbers are designed and manufactured to provide the precise control needed for the majority of suspension setups for road and track condition. Pedders TrakRyder Gas-charged shock absorbers are pedders’ rugged multi purpose design. 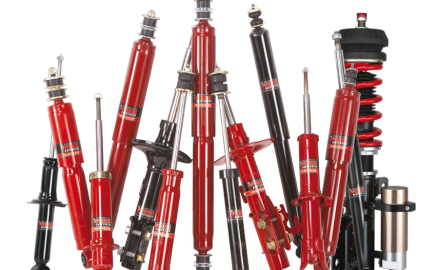 With a large 35mm bore, heavy duty twin-tube construction and heavy duty double-welded mountings, TrakRyder gas shocks keep heavy 4WD suspension systems under control and maintain a comfortable ride and precise handling. 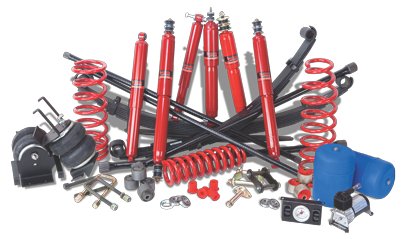 Since 1950, Pedders has been designing and manufacturing suspension products specifically for Australian conditions to ensure your vehicle is always performing at its best. That’s why Pedders Suspension we’re pround of our range of totally integrated 4WD suspension systems – TrakRyder. The Pedders SportsRyder brand has been synonymous with high performance dampers for decades. These shock absorbers and struts combine the most advanced technology with Pedders renowned expertise in the fine tuning of damping rates for superior handling.